I grew up in the Pacific NW, specifically Spokane and Portland. In fall 1996 I was managing an independent restaurant chain when Cameron Healy asked if I’d move from Portland to join Kona Brewing Company. They were looking to help grow craft beer awareness in the Islands as well as to open the restaurant part of KBC. At the time, Kona Brewing was solely a brewing facility. I jumped at it, brought my then girlfriend (now wife), with me and we started our family in Kona. They had a great foundation and dream and I was happy to be a part of it 17 years ago and I still am today! What was your first experience with craft beer? Living in Portland in the 1990’s was a very exciting time in craft brewing. It was also great training ground for running a restaurant and us restaurant folk stuck together, especially after our shifts. After work, we’d meet for pints at Portland Brewing. My favorite drink combo back then was a pint of Portland Ale at Captain Ankeny’s pub, Cassidy’s or Casa UBetcha. I’ve been in the restaurant industry my entire career so I’ve always served it and had my finger to the pulse of what people are drinking. My first job in the craft beer industry was at Kona Brewing when we were two years old. Kona Brewing has seen incredible growth over the past few years. What do you attribute the brands success to? Thank you. We’ve been blessed with two things fueling our growth: High quality brews from a top notch brew staff. And success in our home market due to our commitment to our beautiful home of Hawaii. 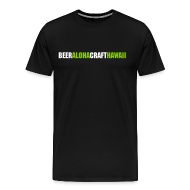 Kona is the go-to beer in Hawaii and we really appreciate the support of the community so we try to give back as much as we can as we can both in our environmental choices in making a smaller footprint as well as to our community organizations. Are there plans to be distributed in all 50 states at some point? Yes, we’re in 40 states now and within the next couple of years I see us in all 50 states. The Kona, HI message is a national and international one for sure. Kona is in over 15 countries and doing very well internationally as well. You recently released a local favorite Castaway IPA in bottles to all of your markets. How have sales been so far? Phenomenal and way beyond what we expected. It is approachable, unique and is exactly what a beer drinker wants when it’s a tropical 80 degrees outside. KBC made a decision very early on (1997) to brew and package its beers on the mainland. What have been some of the advantages and disadvantages of brewing in other locations so far away from your home base in Kona? We were born in Hawaii, raised in Hawaii and we still brew in Hawaii for the Hawaii market. However we would have never been able to grow responsibly if we hadn’t entered into the partnership with Craft Brewers Alliance (CBA) in 2001. We looked at many ways to grow and meet the demand for our brand, and the best route came from doing an energy audit. We learned that we’d drastically reduce our carbon footprint if we stopped shipping empty bottles of beer 2,500 miles across the ocean to fill and then ship back to the mainland. Obviously this is wasteful and polluting and we didn’t want to add to this, so we now bottle in four locations, plus soon to be two more in the southern US. I think there’s something to be said for bottling beer on the mainland for HI too! The saving in energy – which is fossil fuel based in HI- and the lack of shipping and carbon footprint is huge!! It’s the right thing to do for our drought-ridden Hawaii too. From this and more recent energy audits conducted by our sustainability coordinator at CBA, we have calculated CO2 savings from these “Empty Miles” shipping logistics model of consolidating truck loads and sourcing shipping close to market. As a company, brewing closer to market has eliminated 800,000 miles, saving 1500 tons of CO2 which is equivalent to taking 319 cars off the road for a year. That’s 5,014 cars off the road over the past 16 years. In a nutshell, this decision has proven the positives to be: the ability to meet demand, minimizing our carbon footprint, and being able to source closer to each market saves on shipping and material resources. There are no disadvantages except that we were pioneers in this movement and so contract brewing wasn’t something people were doing yet in 1997. Now many of us are doing it and it’s becoming an accepted and responsible way of brewing: Sierra Nevada, New Belgium, Oskar Blues, Lagunitas and many others now have multiple breweries like we do. Torpedo IPA is going to taste even better in NY when it’s coming from several hundred miles away instead of thousands. How many barrels per year are being produced in Kona and where is that beer primarily being consumed/sold? 12,000 barrels and they are being sold 100% in Hawaii. Does KBC have plans to open a second brewery in Hawaii to produce more beer for the local market? We’re always looking! However we need to conditions to be right. We need to make sure its right for Hawaii’s fragile environmental state in respect to the land, water and preserving the history of Hawaii. Can we expect any new beers in the Hawaii market (on draft) from the Kona brewery? Of course! For now we’re pretty excited about Castaway hitting the market in bottles, and Wailua Wheat being a Hawaii-only release. Look for specialty beers as part of our upcoming small batch program in the coming year. When KBC was acquired by Craft Brewers Alliance it was removed from the Brewers Association and you could no longer call yourself a “craft” brewery because AB InBev owns 32.5% of CBA. Do you still consider KBC a craft brewery and what are your thoughts on the current definition of craft created by the BA? I consider Kona Brewing to be a craft brewery, yes. Being faulted for growing and being publicly traded is ridiculous. We just say let the consumers decide. Can you explain CBA’s relationship with AB In-Bev? We’re an independent publicly traded company. They have 2 seats on our board and they are very invested in the success of our business. We basically borrowed money from them through stock. At one point in the 90’s Redhook did it and then Widmer did it as a private entity. The way it is now, AB In-Bev is a 32% owner of our publicly traded stock, just like I have stock, just like my partner does, just like Tim Boyle and just like Kurt Widmer does. In addition to the ownership, as a separate business deal, we pay them to have access and use their distribution system and to be considered as part of their preferred brands. We think there is an advantage to that because when enter a new state for distribution it’s one phone call. KBC has been committed to being an environmentally conscious and green company from the very beginning. What are some of your successes and how are you planning to make your footprint even smaller in the future? Thank you for recognizing that! Our founders were committed to protecting our aina and still are very involved in these decisions. Going solar was one of the best things we ever did, and since we flipped the switch in 2010, our savings have been 30 to 40% higher than we expected in offsetting our brewing and pub operations costs. On Oahu, at the pub in Maunalua Bay we took the old brew kettle that had been an iconic statue, really, and made it into a functional irrigation piece a few months ago. Now it catches the 17 inches of rain we get there annually and the Kona kettle system collects it from the roof of the brewpub to water the surrounding plants. Something that not a lot of people know is that when we host Kona Brewfest, all of the proceeds go to local charities, and we’ve raised over $700,000 going to charities in less than 2 decades. This year, over $100K went to 23 Hawaii charities, and of those, a third are environmental. One beneficiary of Kona Brewfest is Honaunau Elementary School, which has a Garden Program that teaches keiki to cultivate appreciation, interest, and wonder in our natural world. Another is the Kohanaiki ‘Ohana, who works to restore anchialine pond habitats and created a shoreline Park at Kohanaiki. Our small batch program definitely keeps an eye toward sustainability as the beer that’s brewed here stays here. Also if we were to expand our operations in Kona, we always look for ways to retrofit, repurpose rather than build a new facility. That’s just not our style. Hawaii has tons of existing Butler buildings from the 60’s and 70s that we find very easy to use and work around. It may be just as expensive in the short term, but it fits in with what we believe and that’s not to use more precious land when there are perfectly good sites already built that may require a little elbow grease to make them work. The build out cost is only part of the equation–operating costs you have to pay every year so using less utilities and creating more economic efficiencies is key. Any other specific legislation you are keeping an eye on for 2014? Follow up phone conversation: I think the way the law is written right now is perfectly fine. It says partially or wholly manufactured in the state of Hawaii. The big push last year was that it become wholly manufactured in Hawaii and I don’t think that is the right thing to do for the state. Right now our label lists our location in Kona, born and raised, as well as the other locations our beer is brewed at. You’ll see soon over the next couple of months we are going to be adding Memphis, TN, to our labels. I think what people want is honesty and we list all of the places that our beer is brewed. Do I need to put the word brand next to every word that connotes Hawaii? We don’t grow any of the ingredients here in Hawaii, except for less than 1% of the specialty ingredients or adjuncts, like lilikoi, coffee, coconut or any of those wonderful things that we add to our beers. Everything else is shipped in other than water and there is a big portion of this state that is still in a drought. We don’t have the water, we don’t grow anything here, lets call a spade a spade. We do brew a lot of beer here, and if we do open another brewery on Oahu and it’s an innovation center with 7 barrels, that’s even more beer were investing in brewing here. But Longboard, Big Wave, Castaway and those beers that are going to go to 40 states, lets be realistic. We don’t want to be a manufacturing state, we really don’t. Tourism is a lot less impactful on our state than manufacturing. We want to be an intellectual property state. You recently launched Kona’s first large scale advertising campaign, called “Dear, Mainland”. How did that come to be and why now? It’s a combination of a couple of things. One is that we’ve got the expertise at the highest levels. Ken Kunzy, our Chief Marketing Officer, came to us from Sabra and before that he was at Heineken for 10 years. And then you got our CEO, Andy Thomas, who spent 12 years with Heineken and working on their campaigns. We’ve got some really good distribution and great velocity in a couple of markets and we wanted to test out how we can deliver a bit more brand awareness on our products. Mainly it was about this lifestyle that we really cherish and it’s the idea of slowing down and hitting the brakes. We started off thinking about Pau Hana and then we decided that it would be too difficult to teach. Locals know what it is, but it’s a difficult idea to teach in a campaign. The whole “Dear, Mainland” idea was to take a break, hold on for a minute, relax and if you could transport yourself for a moment to the islands. We’re going to be doing a lot of measures to figure out how this campaign is working. Is it selling more product? Is it increasing the brand awareness? I travel a fair amount and even on my last trip some people still think I work for a coffee company. What is your favorite non-KBC beer to drink? I am amazed at how far gluten free beer has come such as Omission IPA. It’s fantastic and is a lifesaver for gluten intolerant folks visiting our pubs. Finally, a GF BEER- a real BEER! 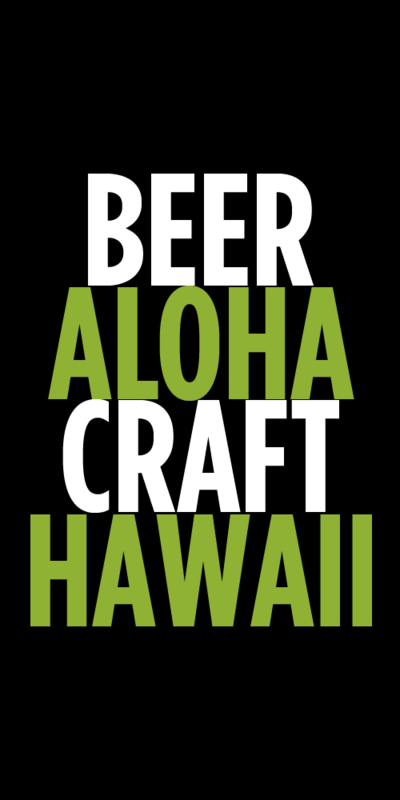 Where do you see the craft beer scene going in the next 5 years in Hawaii? Similar to the mainland, I see nano-breweries really making big moves in the islands, such as Honolulu Beerworks. Brewing on the islands will never be like Oregon or California because it’s too expensive to do business in Hawaii, but I envision many more brewers stepping up to self distribute throughout the islands. Tags: Craft Brewers Alliance, Interview, Kona Brewing Company, Mattson Davis. Bookmark the permalink. Great interview! I love Kona and I agree that craft beer movement’s definition of craft has become completely suspect. Here you have a company that makes wonderfully crafted beer, is involved in the community, and constantly working to please consumers and they are being “blacklisted” by a small group of beer snobs. Luckily that hasn’t hurt Kona who has engaged in a practice common in the industry–especially in the craft sector–contract brewing. The bill mentioned in this article is interesting; I haven’t read any news items about it, but I read the bill itself. The good seems to be that it bumps the 30k bbl cap up to 60 bbl. But it seems to prohibit brewpubs from being able to sell any other brewers beer–am I right? Maybe there’s some loophole for small craft brewpubs, for which the bill creates a whole new license class (class 18). I’d be interested to hear what current and would-be brewpub owners think about this. Awesome interview! It’s nice to hear from a brewer that is such an intelligent business person. Would love to hear more about this brewpub bill; maybe you can do an analysis about what exactly it does and the possible impact for existing brewpubs. Thanks! Would Kona Brew be interested in a Volcano Brewery? At the moment we have one of the few listings on the Big Island with special use permits for a brewery and bottling facility. Our Natural Artesian Water Keaau property is the only property with enough water to service a brewery, distillery, tasting room, restaurant, visitors center, and more. The slopes of Mauna Kea and Mauna Loa feed the Keaau aquifer almost 200 inches of pure rainwater per year. This translates to approximately 1.38 billion gallons of water per day. These natural artesian springs deliver bountiful and pure water perfect for the next brewer starting their own brand of Big Island beer. If you’d like more information about these properties please get in touch with us at MacArthur Sotheby’s International Realty. Well, I’ve had Primo in Honolulu and Maui of course on Maui….one day Kona on Kona hopefully! Hawaii is paradise. If you are in Canada, you would be in Vancouver I’m sure. We’d like to have your beer 3,000 miles to the east in Toronto please! LOL. Actually, I’ve had lots of Kona in Honolulu and Maui come to think of it. Cheers.